Talk.Read.Sing. 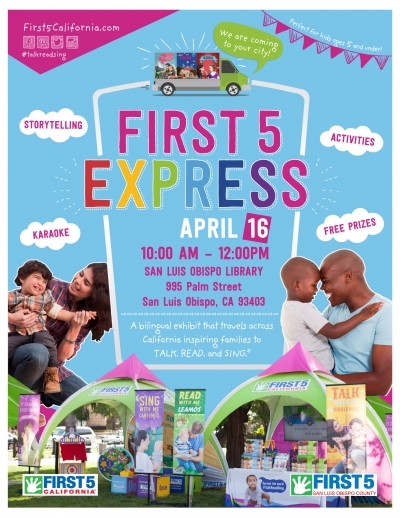 Express at the SLO Library! The First 5 California's Talk.Read.Sing. Mini Express visits our local libraries with their interactive exhibit that includes songs, stories, musical instruments and more-- all to promote early literacy and brain development! Kids take home goodie bags and parents get to join in the fun!